The draw sets out the road to the final in Kyiv. • For the semi-final draw, four balls will be prepared: Winner of Quarter-final 1, Winner of Quarter-final 2, etc. The draw is without restriction, following the same principles as the quarter-final draw. • Barcelona are in the quarter-finals for the fourth time in five years. • Last season they beat Rosengård to make the semi-finals for the first time, going out to Paris Saint-Germain. • They strengthened in the summer with a number of signings including Lieke Martens, who went on to win UEFA Women's EURO 2017 with the Netherlands and be named UEFA and FIFA's player of the year. • Chelsea are the only quarter-finalists in this round of the first time. • After losing to Wolfsburg in the round of 16 in 2015/16 and last 32 a year later, Chelsea have knocked out Bayern München and Rosengård in their third campaign. • Among their squad are Karen Carney, Katie Chapman, Gemma Davison and Gilly Flaherty, all part of the only previous English team to win this competition, Arsenal in 2006/07; Chelsea manager Emma Hayes was also then part of the Gunners coaching team. • Linköping fell in their previous quarter-finals to Arsenal (2011) and Brøndby (2015). • Whatever happens, Linköping will be back in this competition next season after retaining the Swedish title; they are the only remaining contenders from a summer league. • Their league title win came despite the close-season departure of Pernille Harder to Wolfsburg and Stina Blackstenius to Montpellier. • Lyon, for who Hegerberg is one off the season record of goals in this competition, are aiming to become the first five-time winners and the only side to lift the trophy three years in a row. • In the round of 16, Camilly Abily equalled Emma Byrne's record of 77 appearances in this competition and her hat-trick took her to 42 European goals for Lyon, the most anyone has for a single club. Earlier this season Lyon became the first club to play 80 UEFA women's club games. • They lost home second legs to Wolfsburg and Manchester City in the quarter and semi-finals respectively last season but still won the ties. Their last elimination was in the 2014/15 round of 16 to Paris Saint-Germain. • City reached the semi-finals on debut last season, falling to Lyon. • The club won the last 'summer' English league title in 2016 and remain the champions; the FA Women's Super League has now reverted to a winter season. • Danish international Nadia Nadim will join ahead of the quarter-finals from Portland Thorns; in her four previous campaigns with Fortuna Hjørring she fell each time in the round of 16. • Montpellier finished above 2017 UEFA Women's Champions League runners-up Paris to claim France's second berth of this season's competition. 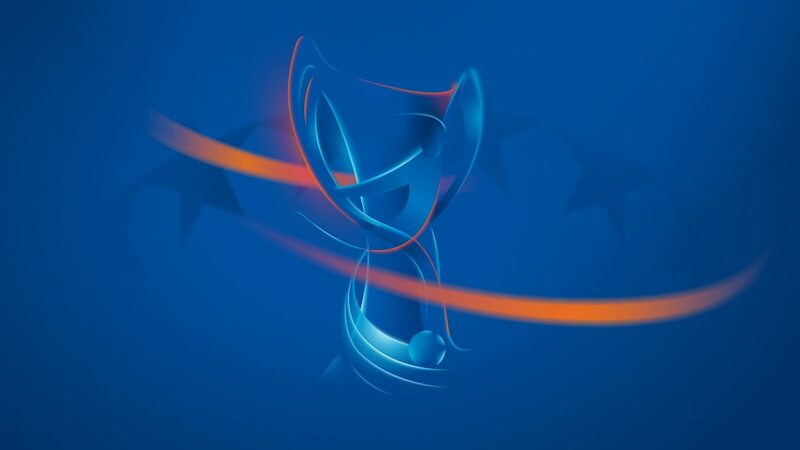 • In the round of 32 they lost 1-0 at home to former finalists Zvezda-2005 before winning 2-0 in Russia, while in the last 16 they twice trailed before a 3-2 first-leg victory at Brescia. • In their run fo the 2006 semis, they drew a group game with Turbine Potsdam and knocked out Brøndby before falling on away goals to FFC Frankfurt. • Slavia fell to Lyon in their only previous quarter-final, the second time in their four past campaigns they have gone out to the eventual winners after Umeå in 2004. • The only other teams to knock them out of Europe are Barcelona and Rosengård. • With Sparta also getting past the last 32, Prague was the first city ever to have two teams in the round of 16. • Lost their first quarter-final in 2016/17 to Lyon, who they beat for their first title in the 2013 final but lost to in the 2016 decider. • Have produced convincing wins so far against Spanish champions Atlético Madrid and Serie A title-holders Fiorentina.